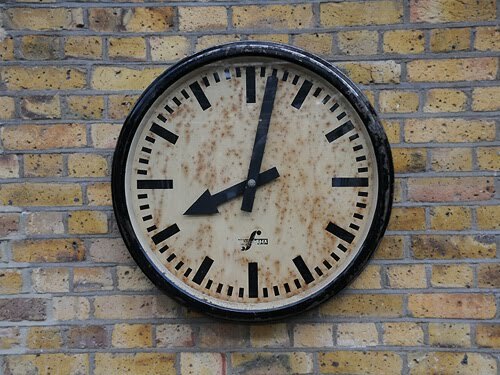 Some of our new finds are always on display in our shop windows - subject to size. On display at the moment we have an eclectic mix. 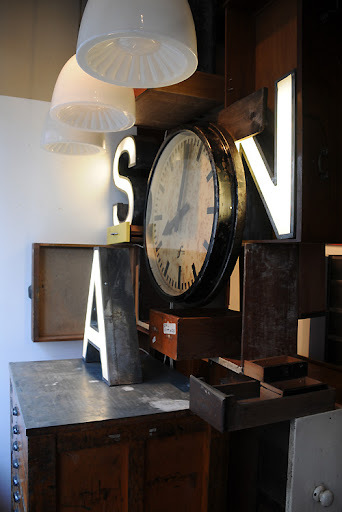 A very nice set of printers drawers with a zinced metal top, a set of 3 opaline light fixtures with original bakelite galleries, a small selection of our current run of restored, rewired and polished metal illuminated letters, and a good sized factory clock in found condition. 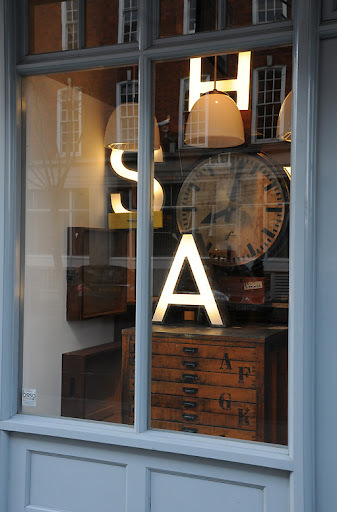 A big thankyou to Rupert (not pictured) for his very versatile 'recycled drawer' window display. 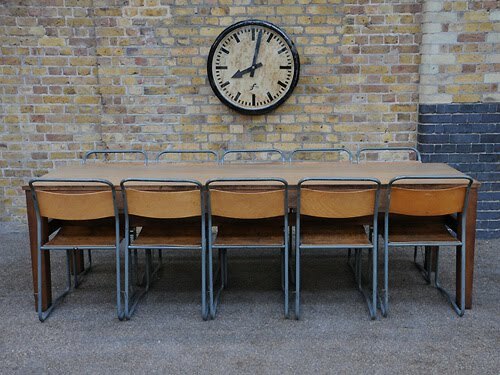 The simple yet beautifully detailed reclaimed antique school library table and set of 10 cox chairs display nicely with the clock.